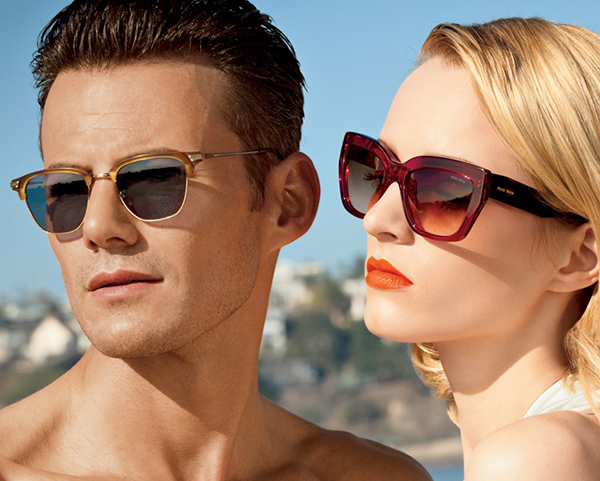 Americana Manhasset is another brand that shared its Spring/Summer 2014 lookbook. You will be totally overwhelmed by the 40 outfits that the label presents. All of the looks are full of diversity and great sense of fashion which is exactly what we need on the last day of winter. If you are still hesitating on whether to read on or not, here is the last argument. The fashion retailer features clothing pieces of the most high-end designers you can ever think of. So don’t waist any single minute and scroll down! The brand offers quite engaging looks which are made up by the clothing articles of the most amazing fashion houses: Chanel, Prada and Oscar de la Renta. Just this mere fact is worth of being checked out. With over 60 fabulous luxury and contemporary shops and a bevy of services, Americana is the ultimate shopping oasis. Louis Vuitton, Prada, Gucci, Dior, Chanel, Hirshleifers, London Jewelers, Hermès, Cartier, Ermenegildo Zegna, Tiffany & Co., Theory, Tory Burch and more reside one next to another within a unique and exciting outdoor environment designed by renowned architect Peter Marino and landscape designer Oehme van Sweden. 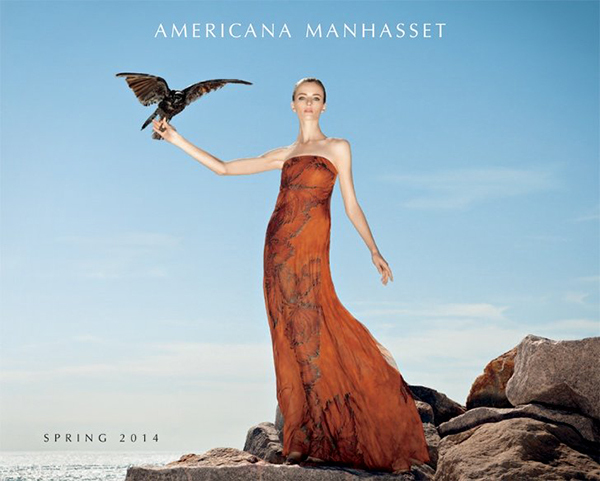 Americana Manhasset also offers a complimentary Personal Shopping Service, a remarkable fashion and gift resource. 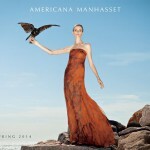 Americana Manhasset tapped Daria Strokous and Alex Lundqvist to star in the label’s Spring/Summer 2014 lookbook. The fancy photoshoot was inspired by the works of famous Alfred Hitchcock, namely his movies: “Psycho”, “The Birds” and “Rear Window”. You will fall in love with the adorable photos as well as the gorgeous ensembles featured here. Take a look at the gallery below and you will see that you didn’t waist your time here. All the 40 looks are beyond any discussion or competition.